The first casualty of David Cameron’s renewed slide in the polls is the pastel green tie that has been his constant companion since he assumed the Conservative Leadership two years ago. It’s been cruelly cast aside in favour of a similar model in traditional Tory blue. He was sporting it all last night and was showing it off again this morning during his TV interview with Andrew Marr. Behind this new colour scheme lies the latest poll figures published in today’s Observer showing that more Conservative voters actually trust Gordon Brown more than they do Mr. Cameron. 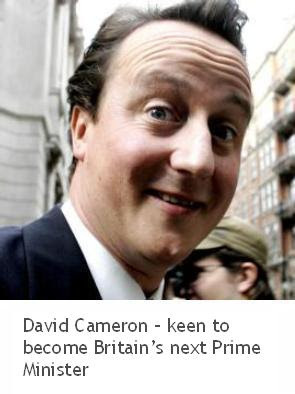 David Cameron has spent the summer suffering increasing levels of criticism, mainly from within his own party. The most astutely damaging saying that he’s little more than a public relations expert who has a tendency to flip flop. In the last year the Conservative Leader has moved his party onto the centre ground; then back to the right with his economic review led by John Redwood; then to the environmental left with calls for taxes on supermarket car parks and short-haul flights and then quickly back to the right again with tax incentives to encourage us all to get married. Now many commentators are openly asking who will replace him as leader with William Hague denying he’s a contender and George Osborne - the Shadow Chancellor – trying to distance himself from his “friend”, the Leader of the Opposition, with all the apparent grace of a side-stepping hippopotamus. I’d guess that the media and his party won’t want to mortally wound Mr. Cameron this close to a much speculated upon election. As long as he gives a reasonable speech he will live to fight another day. However, the British public will be left wondering if he has any substantive policies other than changing his neck attire. Poke fun about how in touch I must be with my feminine side if you will but I’m pleased to have been invited to an artistic exhibition of ladies coats. 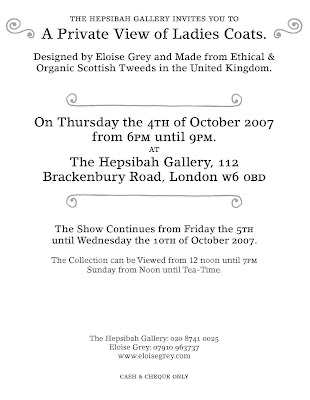 Jayne, the owner of the Hepsibah Gallery, will be presenting the cutting-edge designs of Eloise Grey. Eloise has made all of the exhibits from “ethical and organic Scottish Tweeds”. I must say that I am encouraged to see that the environmentalist and fair-trade movements extending their reach into this sphere. You too can attend this exhibition which runs from the opening night on Thursday the 4th October until Wednesday the 10th of October. You can visit Eloise Grey’s website here. 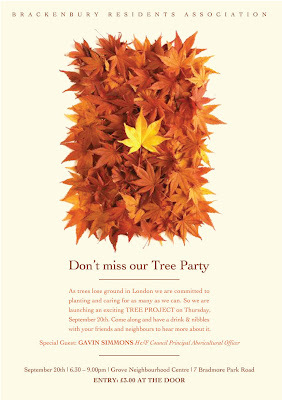 See attached invite for further details. The Hepsibah Gallery is 112 Brackenbury Road, Hammersmith, London, W6 0BD. Phone them on 020 8741 0025. Until quite recently, there has been a relatively unnoticed and largely unwelcome change taking place in our communities. Our small retailers are disappearing. The Evening Standard says that over seven thousand of London's family or individually owned stores have closed down since 2001 and has launched this campaign to save them. An all-party Parliamentary group published High Street Britain - alarmingly concluding that small retailers may “vanish from Britain’s high streets by 2015”. 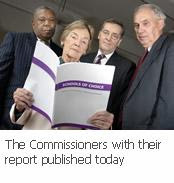 Councils are being called upon to take action and last May our neighbours in the Royal Borough of Kensington and Chelsea had an independent commission publish this insightful report. Mohammed Ashraf and Abdullah Mir run W6 Food & Wine in King Street, Hammersmith. They were pleased to hear of the K&C report. Abdullah tells me that competition from the big retailers is a constant threat. “They want to take over everything he says” and went on to urge “Council’s should be careful not to give planning permission to superstores that end up swallowing up business from hundreds of local small retailers". His brother Mohammad added “That can’t be good for an area. There’s some great little shops in our borough and I’d expect that most would agree that it's tough”. The owners of SISI Hardware & DIY, the Tipsy Toad and many other small retailers have expressed similar concerns to me. The New Economics Foundation, a leading think tank, also agrees saying “The appearance of Clone Town Britain has been aided by planning and regeneration decisions that have created a retail infrastructure hostile to small, independent businesses”. You can read its conclusions here. I was concerned that this motion was more than a little short on action points and while agreeing to vote for it, Labour firstly proposed an amendment that read “and agrees to set up a similar commission, involving local small retailers and other key stakeholders”. The Conservatives voted that down with Cllr. Mark Loveday (Con) explaining that they wouldn’t support this suggestion as “it was too prescriptive”. Maybe they’ll change their minds. I think they should; as while I’m sure local government officials and councillors will have something to contribute, I believe that H&F Council needs to listen to those that know. People who have taken the risk to run their own small retail businesses, day-in-day-out, should be at the forefront of steering a way forward for that sector in Hammersmith and Fulham. If they’re not and there’s no effective proposals within the next few months then last week's debate will have been little more than political hot air. And, if this trend of disappearing small shops continues, we'll all lose out. W6 Food & Wine is open from 8.00am to 11.00pm and is situated at 175 King Street, Hammersmith, London W6 9JD. Policies for Improving Britain Over Party Political Infighting? 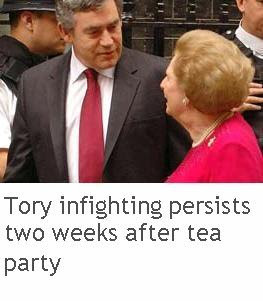 It has been a good week for Gordon Brown. The Party is united behind him, he’s taken Labour to an 11% lead in the polls, and he’s unveiled a raft of forward-looking new policies on tackling child poverty and crime as well as new actions aimed at further improving education, housing, healthcare and the environment. I must say that I was more than a little surprised when the chorus of praise was joined by Lord Tebbit (Con), the former Minister and Conservative Party Chairman. Lord Tebbit told The Times that he thought Mr Brown “is a clever man and I have a very considerable regard for him.” He went on to take a broadside at David Cameron adding that he thought that large numbers of British voters would think Mr. Cameron didn’t know "how the other half lives". Lord Tebbit has highlighted a fundamental political truism, which is people want their politicians to understand them and the issues they face, expecting positive plans to improve their quality of life. Gordon is widely recognised to be focusing on doing precisely that. In contrast, Mr. Cameron seems to have authorised his lieutenants to rubbish Baroness Thatcher’s judgement following her taking afternoon tea with the Prime Minister. What should have been a relatively minor event is still causing Conservative Party political in-fighting two weeks later. Rob Wilson MP (Con) the Shadow Minister for Higher Education said “Baroness Thatcher is 81, she is elderly, she is lonely, she is frail and she has difficulty with her memory… Those closest to her say that her grasp on daily life is ‘some days better than others”. With Gerald Howarth MP (Con) adding “Everyone knows that she is not in the same rude health she was a few years ago” Comments like those not only show a complete lack of courtesy towards their former leader but cast doubt on the political nous of the Tory high command. With friends like that - as they say - who needs enemies? The public certainly won’t be impressed. Andy Slaughter MP (Lab) was invited into the event by the good old BBC in the end. The Beeb were hosting the "Address" and insisted on political impartiality as reported below. Andy's written about it here on his website. After all the fuss, it turned out to be a fifty five minute PowerPoint presentation rather that the State of the Union style Address that was promised. I was surprised that, when I took out council officers, Tory councillors, their personal friends and the Opposition, I was only able to count 37 members of the public in the audience. This out of a total of 800 "key opinion formers" that were invited. It looked like they'd laid on a sumptuous buffet though - shame I'm on a diet. Thanks to the BBC’s absolute political impartiality Opposition Councillors were yesterday evening sent a last minute invite to the Leader of H&F Council’s self-styled State of the Borough Address. This despite H&F officials having only hours earlier reaffirmed that the Opposition would not be allowed in. 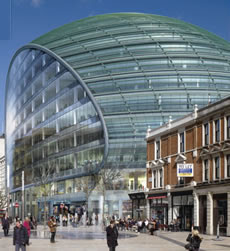 The event is due to take place at 7.00pm this evening and is taking place at the BBC’s White City offices. Readers will recall that H&F Council used tax payers' cash to invite what it deemed to be 800 local key opinion formers to attend this event. The same event was previously funded directly by the H&F Conservative Party. Below are extracts from the three emails sent by senior council officials to me initially explaining their reasons why I and my colleagues were not amongst the eight hundred people to be invited - then relenting in what can only be seen as an embarrassing U turn following representations from the BBC who are hosting the event. It’s a shame H&F Council doesn’t share the BBC’s approach to impartiality. "Because of the nature and purpose of the event and the limited capacity." "Because of the nature of the event there is no need for the Opposition to attend." "I have been approached by the BBC expressing their concerns with regards to the above event over political neutrality. To avoid any possible embarrassment to the BBC, I am happy to extend the invitation to you as Leader of the Opposition and your Shadow Cabinet." At the time of writing this, Local MP Andy Slaughter (Lab) is still denied an invite, despite the event happening in his constituency. could then have applied for a Variation to the Licences if the Council wanted to put on any extra events - requiring it to undertake a public consultation each time it did wished to do this. I understand that these two applications were discussed by the Conservative Cabinet at length. They allegedly decided to go for these licenses because they wanted the freedom that these open licensing applications would give them and because it’s much cheaper not to have to consult the public each time they want to put on a late night activity in one of the parks. While I’m normally in favour of cost cutting I would suggest that democracy doesn’t come cheap and that the Administration should not have sought to curtail the public’s right to be consulted for each event. 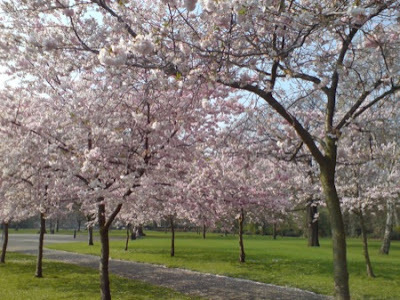 The Council hurriedly sent out a Q&A sheet on Friday evening which you can read for Ravenscourt Park here and Bishops Park here. However, they duck many of the central questions raised by local residents. I understand that H&F’s local Conservative politicians have been chastened by the public's reaction and have contacted many objectors asking them to trust them to manage park events responsibly. However, this trust would not be necessary if the Conservative Administration maintained the public’s legal rights to be consulted and their rights to object to each event - instead of trying to abolish those rights. I am grateful to all those people who wrote in to express their views, it has certainly had an impact. I will attend the Licensing Committee to argue the points raised by local residents and will post something to let people know the date it is to take place as soon as I find out. Members of the public are allowed to attend. Please email me here if you have any views to express. Sergeant Gareth Winnard has taken over command of the Hammersmith Broadway Safer Neighbourhood Team. Replacing the highly-regarded Sgt. Paul Goulden. I met with Sgt. Winnard yesterday to discuss policing, crime and anti-social behaviour in the neighbourhood. He told me “I hope to build the respect of the public, local businesses and our partners by tackling crime and helping to improve the quality of life in this area”. He said that he plans to meet the many different tenants and residents associations as quickly as he can and asked people who want to contact him to email him, which you can do by clicking here. You can phone Sgt. Winnard on 020 8721 2057. However, you should always phone 999 in an emergency situation. You can currently view and buy any of the collection of works by Sonya Vine at the Hepsibah Gallery in Brackenbury Road, Hammersmith. This contemporary British artist opened her solo exhibition with a reception last night. It will run until Wednesday 26th September. The exhibition is entitled 'People'. All the compositions are oil on canvass and the work is described as being “inspired by strong natural light in everyday moments” Click here to view Sonya Vine’s online gallery. You can also email her by clicking here. Jayne Hepsibah (on the right of the photo) has run her gallery for the last twenty years. She also ran a milliner from the same premises but stopped when the Ascot races finished this year. The Hepsibah Gallery is an enchanting place, right in the middle of what has become known as Brackenbury village. I highly recommend a visit. There was a full council meeting last night. One of the debates was on the provision of affordable housing. London’s thirty three boroughs are responsible for ensuring that at least 50% of all properties built in their area are affordable homes to buy and to rent. H&F Council have set a target of just 40%. The previous Labour Administration delivered 82%. Apart from denying many thousands of people a chance to get onto the housing ladder the Conservative Administration has opened themselves up to accusations that they are deliberately picking a fight with the Mayor of London, just to play party politics with this important strategic and moral issue. I must admit, there was wide-spread sniggering on the Tory benches when this was suggested to them last night. Cllr Jean Campbell's Speech to Full Council. "I am the only person in this chamber to live in a council home and one of the few who live in social housing. So, if you forgive me, I will go as far to say that I have a unique understanding of what that is like. I have rented my home on the White City Estate for 32 years. In the 1970s, I worked as an auxiliary nurse in the West London Hospital. I then got a job as an administrator in the DTI. With four children to feed and clothe, my husband and I never really thought we had the wages to buy our own property but, we were happy to rent and we like where we live. My husband took ill a few years back and I have looked after him since I retired. I split my time between caring for him, the tenants association and my duties as a councillor. I’m not against home ownership. My children have bought their own place and I’m very proud of them for doing so. But, it was rented accommodation that provided that platform for my family. There have been a number of schemes available for some years. Maybe I could have afforded one of them at some point. But, life happens and if you’re on a low wage you need some certainty. Renting offered that certainty. It made our family home affordable. There are eight thousand people in our borough in need of an affordable home. There’s another fifteen hundred people living in temporary accommodation. Nine thousand, five hundred people in total. It’s easy to hear that just as a number but they are real people. People with kids, and hopes and fears and lives, and like me… renting is the only way that most will be able to afford a home. A home… I guess that is something that all councillors in this chamber are lucky enough to have – maybe some people never really thought about it as luck or as a privilege but it is exactly that to each of those nine thousand, five hundred people. Something they need so that they and their families can get on with their lives. As Mayor Livingstone pointed out; the last Labour Administration ensured that 82% of all housing built in Hammersmith and Fulham was affordable. Affordable to buy and affordable to rent. Our borough was applauded by Shelter, the London Federation of Tenants’ Associations and leading academics. You plan to deliver less than half of that. I have sat here during these meetings and I've listened to you talk... I’ve come to understand your priorities and I’ve seen what you are doing. It is easy to see your political opponents as bad people… I don’t! But I don’t think you have any understanding of the devastating harm that you are doing by cutting back the affordable housing programme. It is clear to me that many of you have lived lives very different to mine. I tell you now and I hope I can get through to you... You are slamming the door shut on the hopes of thousands and thousands of people who need somewhere decent to live. 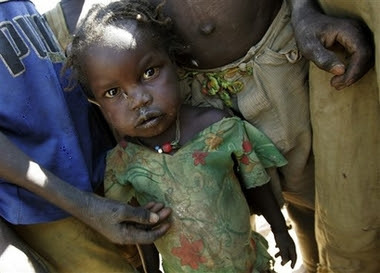 You are condemning those people and their children to years of misery. If you don’t know that, then I encourage you to look again… And please… Stop attacking Mr. Livingstone for sticking up for people like me. H&F Town Hall echoed to cries of “remember who elected you” and “it’s a stitch up” from over sixty local residents last night. They had turned up to the Planning Committee to object to a property developer’s scheme to build eight new exclusive homes on a builder’s yard, sandwiched between the back gardens of Percy and Boscombe Roads, Hammersmith. The crowd grew increasingly irate as it became clear from the first questions asked by H&F's Conservative committee members that they intended to push through the planning permission for the controversial change of land use from employment to housing. This, in effect, ramping up the land value and awarding the developer a multi-million pound cash windfall. The report says that the land is contaminated and yet no comprehensive study has been undertaken to satisfy local residents’ fears. Applications for seven houses have been previously denied by the Planning Committee so why would Conservative members vote to allow eight houses? The area is already defined as high-density and is recommended in the Council’s own plans that the land remains for employment use. No study has been undertaken on the extra noise and other nuisance the development will cause to the area. The new houses will only be three metres away from other residential properties and this is insufficient. Oddly, Conservative committee members paid no attention to the Exceptions guidelines introduced by Michael Heseltine (Con) when he was Environment Secretary. These urged that change of land use allowing residential development should only be given when there was a direct benefit to the wider community. Residents were still struggling to see what that may have been with this scheme. If it wasn’t for John Stenton, the Hammersmith Broadway ward police team would have remained cut by 25%. As it is, we only have the four community support officers on a “temporary” basis. But it’s still a result that Stenton Butchers played a part in securing. Odd how these things work really: Stenton Butchers is widely believed to be the best in the area and one of the best in the country. As such, it attracts a wide array of customers - many picking up on local news as they shop. John also gives up his spare time to sit on the Safer Neighbourhood Ward Police Panel, so he is well up to date with local affairs. Consequently, he kindly agreed to support our campaign to have the 25% cut in police numbers reversed. One of John Stenton’s customers is an Evening Standard journalist, who picked up one of our Stop The 25% Cut in Police leaflets and promptly investigated the story. The impending threat of a highly embarrassing splash in London’s leading newspaper was enough to deliver both a change of heart and the "temporary" Community Support Officers. Prior to this, I had written to Cllr. Greg Smith (Con), H&F Council’s Cabinet Member for Crime, on March the 7th. I suggested that he should back away from the reduction in police funding. Not only had he promised local people more police prior to the 2006 election but Hammersmith Broadway has the highest rates of crime in the borough, so cutting police numbers made no sense. He failed to even reply. I then bumped into Cllr. Smith at a public meeting, which had been arranged after the brutal murder of a young man in Hammersmith Grove. I explained that I would not be mentioning his 25% cut in police numbers when I spoke to the audience, because it was an inappropriate occasion to do so but told him that I’d like him to reverse it all-the-same. He nervously said that he was grateful for that and promised to review the funding. He failed to reply again. I was then told by the police that the Town Hall’s funding cut would stay. This left my fellow ward councillors and I with no option but to begin a public campaign. That started in April of this year and resulted in our leaflets being handed out from Stenton Butchers and other local shops. One good thing has come out of this episode though. It’s reaffirmed to me that local people and community minded businesses can make a difference if they make their voices heard. My fellow ward councillors and I have been overwhelmed with support from residents. We are grateful to all those businesses that backed our campaign and all the people who took the trouble to write in. We’re still working to have the temporary community support officers made permanent, to have the police constables numbers restored and for the Council to deliver the extra police they promised local residents prior to the election. I’ll keep you in touch with how we get on. Please write to me here if you want to add your name to those that have already written in. Stenton Butchers is at 55 Aldensley Road, Hammersmith, London, W6 9PL. You can phone them to book your order in advance on 020 8748 6121. I’ve been contacted by several people, from across the borough, who are concerned about the new permanent licence applications that have been applied for Ravenscourt and Bishops Parks by our local council. H&F Council is keen that there is no cap on the number of events so in theory something could be put on in the parks every night, till midnight, throughout the year. The licence applications reads like the intent is to make money out of the parks by licensing their use for private parties, which I’m sure would cause an unacceptable level of disturbance to local residents. 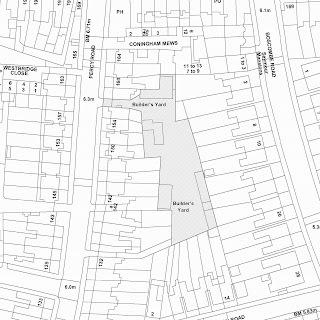 You can view the application for Ravenscourt Park by clicking here. You can then email any comments or objections you have to the scheme directly to the licensing department by clicking here and quoting the application number: 2007/04074/LAPR. You have to get your objections to this licence application in by 2nd October. Please include your full name and home address so that your views can be officially registered. For Bishops Park; click here to see the application. 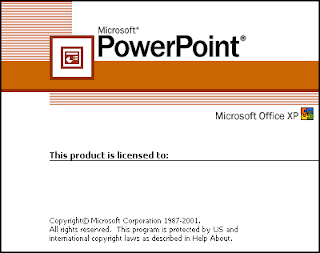 You should then email any objections you have to the licensing department by clicking here and quoting the application number: 2007/04070/LAPR. You must send in your objection to this licence application by 4th October. I'll let you know more when I find out what's happening. Email me here if you have anything to add about this. H&F Council has failed to increase its recycling rates to expected levels and is still only recycling around 25% of the borough’s waste. Consequently, it has decided to introduce a compulsory recycling pilot much earlier than planned. The scheme is to be controversially tested in the wards north of Goldhawk Road, an area with the smallest amount of street properties and with the highest population of people on low incomes in the borough. 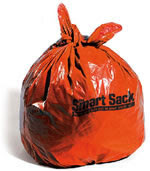 Residents in that area are being told that it is now compulsory for them to put all their recyclable waste into the orange Smart Sack bags from the 1st October onwards. Failure to do this will results in a new £100 fine. Recycling rates were at 24% eighteen months ago under Labour, a figure that had more than trebled under that administration. I know that we were confident that we would exceed the 30% government recycling target by 2010. However, the Conservative administration has cut £1.5million from its recycling, refuse collection and street cleaning budget and I believe that the Council could have made greater progress if it had maintained a properly funded service. The borough's composting rates have also fallen off after H&F Conservatives introduced a new £6.50 charge for removing garden waste. While I support compulsory recycling in principle I believe that it should be introduced gently and running alongside a comprehensive information programme that teaches residents what can and can't be accepted for recycling. Residents will get very fed up when the fines start to be issued and everything should be done to help those people who make genuine mistakes. I am also concerned that it is being introduced early in Hammersmith and Fulham solely to make up for the Council’s cuts in service. The Conservatives did not tell local residents that they planned this compulsory scheme in their manifesto and I cannot understand why they have decided to test it in the poorest areas of our borough. You can find out more about the scheme by clicking here which will take you to H&F Council’s recycling web page. You can also phone them on 020 8753 1100 to talk to H&F Council’s recycling people. Meanwhile, please write to me by clicking here to let me know if you think it is a good idea to introduce this scheme now or whether you think it’s just another money-making scam from our Conservative council? It is so refreshing to see Mayor Ken Livingstone, seeking to influence the tone that the media covers asylum and refugee issues. It’s obviously not a move aimed at winning votes. It’s simply the right thing to do. You can read about it here. The Refugee Council also has an excellent section on its website titled The Truth About Asylum which dispels many of the myths that have grown up over recent years. One of the things I like about Ken is that he is prepared to show leadership on a wide variety of important issues - often proving to be ahead of his time. I'm glad that he chosen to publicise the difficult plight of asylum seekers and refugees. 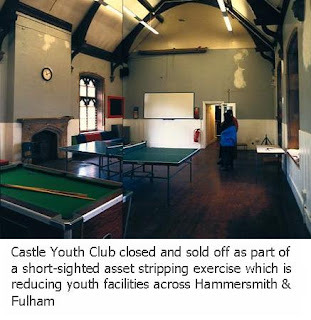 Getting To The Crux Of The Matter About Hammersmith And Fulham's Dirty Streets? Tory Councillor: "I've had a number of my constituents complain to me about the dirty streets. They tell me that when they phone the Council they're told that's it's because of the £1.5million cut in the service. Is this usual practice?" Council Officer: "No councillor. Our streets are very clean. I don't know why that's happened." Tory Councillor: "Thought so. I'll talk to you about this afterwards." I must admit, my heart sank after witnessing that exchange. I had hoped that there would be some cross-party support about an issue that’s increasingly filling my inbox. Anyone who’s seen Yes Minister will understand that it’s the official’s job (in this instance) to publicly support their frontbench councillors. They’ll also know that it’s a politician's job to get past that so as to get to the bottom of the issue and properly represent their constituents. Maybe I’ll send this guy the box set. Meanwhile, our battle to get the streets clean continues. Let me know if you have a problem in your area by emailing me here. Just got in from another Council meeting… This one was to supposedly scrutinise H&F Council’s approach to providing value for money to local residents. They presented a very odd report on the new charges and fees that residents have to pay on top of their Council tax. It was odd because it only had figures for the financial year 2007/8. You can read it here. When I asked to see how those fees compared to what residents were paying in previous years - with a column explaining the percentage increases - Cllr. Mark Loveday (Con), the Cabinet Member for Strategy, became very agitated. Then, despite Council officers explaining that they thought my request was pretty straight-forward, he said that he was concerned about the “cost” to the borough of answering such a question. I think he was more concerned about the cost to the Conservative Party when local residents find out about the other new charges they’re now having to pay. We know about the 55% increase in meals-on-wheels charges, the 60% increase in burial charges, the 50% hike in parking fines, the new charges being piloted for recycling and the new £6.50 fee for removing garden rubbish. It’s our job as the Official Opposition to ask such questions. It happens in every democratic society in the world so it’s peculiar that a leading Conservative councillor should seek to stop it in Hammersmith and Fulham. I’ll let you know what it was that Cllr. Loveday is so worried about us all finding out about as soon as I get the answers. Parents accused H&F Tories of “putting residents last” yesterday evening when Conservative councillors voted to close Peterborough Primary School during a chaotic cabinet meeting. The packed public meeting was stunned when cabinet members seemed unaware of the issues relating to the school closure and started to question their own officials during the meeting. Cllr. Mark Loveday, (Con) the Cabinet Member for Strategy said “Excess places is an issue that furnishes our thinking” and went on to question how many excess places Peterborough Primary School had. He then voted to close the school, despite being told that it had very few and one of the lowest percentages of empty places in the borough. However, the schools closure falls into Cllr. Antony Lillis’ (Con) brief. He told local residents - who had taken the trouble to turn up to the meeting - that he had made his mind up before the meeting started and “there is nothing that anyone can say tonight to make me change it”. Cllr. Lillis admitted that he had begun negotiations with the French Government to sell off the land the school sits on while the consultation process was still running. During the last year Cllr. Lillis has been responsible for trying to close Hurlingham and Chelsea Secondary School, increasing meals-on-wheels charges by £200.75, ending home care for 550 elderly, sick and disabled local residents, closing down community centres in the poorest areas, trying to close two primary schools, closing down and selling off youth facilities, introducing telephone interviews to deny elderly people services, cutting legal support for the underprivileged, ending funding to key local charities and successfully closing Peterborough Primary School last night. He has developed a reputation as the most unpopular Tory in the borough. Hammersmith & Fulham Council continues its crusade against disabled and older people in the Borough who need support; having voted in July 2007 to withdraw nearly 550 people’s services, the Council has now started yet another consultation process with a proposal to possibly introduce charging older and disabled people for essential home care services. This is going against the Conservatives’s pre-election manifesto pledge. “Local residents had to demand proper consultation, and also discovered that the charging proposal appeared to be open to a legal challenge for being potentially unlawful. The Council which says that its mandate is to stop waste and cut inefficiency but not cut services, has already wasted local residents’ council tax contributions on one ill thought out consultation process. The Council is also cutting disabled people and older people’s essential support services which has nothing to do with reducing general inefficiencies but everything to do with poor decision making and a could not care less attitude towards some local residents". Senior Managers from Bishop Creighton House, an organisation which supports older people in the borough said “We are concerned about a national trend to reduce homecare services available to older people. High quality personal and domestic care in the home is vital to ensure older people can live independent lives with dignity. Many of our clients have contributed a lot to our community in all sorts of ways; it is only right that in their older age, they have access to the kind of quality homecare that they need to stay happy and well"
Hammersmith & Fulham Coalition against Community Care Cuts (HAFCAC) represents a growing number of disabled and older residents, supported by many non-disabled residents and local organisations. We aim to challenge these cuts in services and jobs which will negatively impact on the quality of life of many local residents. Maria Brenton Chair of Hammersmith & Fulham Action on Disability (HAFAD) said: “Older and disabled residents of the borough need to be alert to what is happening to their services and contact their councillors. These cuts will have a serious impact on those who lose their services. The savings that the Council will make through these cuts and charges are actually quite a small part of the borough’s overall budget and it could make the necessary economies in other ways if it really cared about its older and disabled residents”. HAFCAC today launches our campaign pack to let local residents know what is happening. We are sure that when residents elected their local Conservative Councillors in 2006, cuts in vital services and making older and disabled people pay twice for services was not what local residents intended to happen. Our campaign pack is available free by contacting the coalition. It explains the issues, tells you how to contact your locally elected officials and how to let them know what you think. Support disabled and older people in Hammersmith & Fulham and work with us to defend our services. Join HAFCAC. It’s free! HAFCAC: PO Box 57168, London, SW6 7UW. Telephone 020 8743 6573 . Typetalk 18001 07899752877. Child poverty is worse in London compared to anywhere else in the country, as previously reported here. 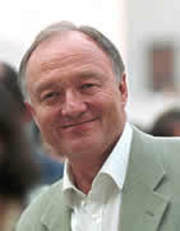 Mayor Ken Livingstone has welcomed the London Child Poverty Commission’s first consultation report which sets out what Commissioners believe are the key issues that must be tackled to reduce the high levels of child poverty in the capital. Diversity Works Programme to tackle low employment particularly in minority ethnic groups. H&F Council officials have now written to inform me that they have been instructed not to allow politicians other than Conservatives to hear Cllr. 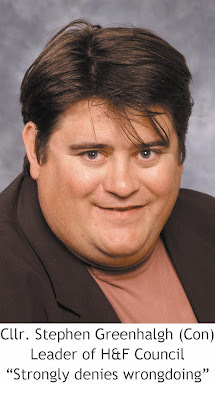 Stephen Greenhalgh’s (Con) self-styled State of the Borough Address on September 26th. The event was previously financed from Tory Party funds but the tab for this year's address will now controversially be picked up by the borough’s council tax payers. 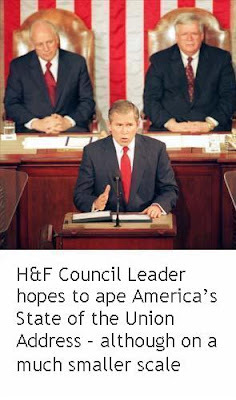 While seeking to ape the American’s Presidential State of the Union Address, Cllr. Greenhalgh seems unaware that that monologue – as with Britain’s Queen’s Speech – is given to elected representatives from all parties. Cllr. Greenhalgh has had his officials invite over 800 local “opinion formers”. However, he has instructed them to also write to me in my official capacity as Leader of the Opposition to say “Because of the nature and purpose of the event and the limited capacity” I will not be invited. Oddly, the address is not taking place at the Town Hall but has been moved to the BBC to guarantee a high level of security. That is situated in Andrew Slaughter MP’s (Lab) parliamentary constituency. However, he has also been refused an invitation. Cllr. Greenhalgh “strongly denied wrongdoing” when this was investigated by a local reporter but his democratic credentials are being increasingly questioned after he also acted to end Opposition Councillors right to debate at the Annual Budget Meeting - during which he introduced £34million of cuts to services. I recognise that Cllr. Greenhalgh has become ever more nervous of criticism but he is the most senior local politician in the borough and he should realise that analysis and criticism of his Administration's policies are an aspect of our democratic process . Several Conservative councillors have recently confided to me that they feel “uneasy” with their leader’s refusal to allow even the smallest critique of his Administration's actions – even in closed Conservative only meetings. That can’t be good for democracy or for the effective running of an administration. Today’s lunch at H&F Council’s Pensioners’ Café was sadly the last. It was packed out with elderly citizens from across the borough. All arriving to take one last meal in the café and to express their sorrow at it’s closure by taking part in a sit-in. John Tripp (82) “I was 18 years old when I went up the line. I landed in Normandy on D Day 6 fighting the Nazis in France, Belgium and Germany. I got blown up the day before the war finished. I don't expect anything in return but this café has been a life-line for me. I leave my flat in Fulham around mid-morning and get here to have my dinner with all my friends. The food is fresh and good value. Closing this is a disgrace, it’s rubbish. I am very angry about about it". Dorothy Channon (88) “I have been a life-long Conservative but I will not be voting for them ever again… I have written to Cameron to express my disgust. We would have paid a little more but they didn’t even ask us. They just shut it down”. Rosie and Gordon Hose (confided that they are both over 60) “This has been a lovely place for us to meet and make friends… This closure is denying pensioners and disabled people from getting a decent hot meal each day". Edward Morris (84) “I don’t think they know how important this is to us all and I don’t think they even care for the aged people in Hammersmith". The canteen was a shared service with staff after the previous Pensioners' Café merged with the employees’ dining facility several years ago. Pensioners were given one month’s notice of the canteen's closure. I appreciate that the Council will need to seek value but this was a service our elderly people relied upon and there has been no effort put into providing an alternative facility of a similar quality. I am hoping that something can be done to replicate this service for our local pensioners. I will let you know how we get on. The Fulham Schools Commission has today published its report on the future of secondary education for that part of our borough. You can read it here. Meanwhile, our local young people have delivered another year of impressive improvements at GCSE examinations. The percentage of pupils gaining five or more GCSE passes at grades A* to C, including English and maths has risen to 56% against 49% for last year. We live in a results orientated world and the latest round of school results has demonstrated how wrong the Conservative Administration had been when it falsely accused Hurlingham and Chelsea Secondary School of “failing” last year. They then spent tens of thousands of pounds of tax payers’ money publicising that message and trying to close it down. Hurlingham and Chelsea School is one of the most improving schools in the Country and led the way with a hugely impressive leap in results with 37% of its pupils gaining five or more GCSE passes at grades A* to C this year compared to 25% for 2006. I think these are big mistakes. We need to provide our local young people with interesting things to do that will help occupy their time and energy. My Labour colleagues and I are not alone in this view locally as H&F Council actually carried out a MORI poll to find out what local people cared about. A very large number said they felt there was a need for more and better youth facilities. It's good that H&F Council has now agreed to carry out a review of youth issues with a commission but it must also reverse its cuts if it is to seriously address this important priority. We will continue to press the Conservative Administration about this. Please email me here if you want to support our campaign. H&F Council has now agreed that the developer of the NCP car park in Hammersmith Grove could submit a fresh planning application. This arrived at the Council's offices in late August. It includes a proposal to reduce the size of the scheme by a mere 5% - failing to address the many concerns raised by local residents. Meanwhile, fresh controversy has erupted when a Conservative Party council candidate for Hammersmith Broadway ward published a document attacking local residents as “Nimbyists” and mocking them as wanting to do no more than “save this historic car park”. The candidate is the son of former Councillor Angela Clarke (Con) who is currently chair of the Hammersmith Society and whom I understand, to be one of the people also opposing the development. We are calling on the Tory Council to distance themselves from their candidate's comments. The developer has now presented a valid planning application to the Council after months of private meetings with council officials and Conservative councillors. This means that the developer will have to start fresh consultations with ward councillors, amenity groups and local residents. No date has yet been set for the application to go to committee. When walking down Broadway in lower Manhattan with a friend recently; we got to talking about how there were a multitude of small, family-owned businesses situated on all the blocks we passed through - adding colour and a sense of character to each neighbourhood. While happily agreeing that such a thriving small business sector undoubtedly benefited the New York economy, my friend began to lament the fact that the big superstores in the UK had been successful at driving many British small retailers out of business. So when I popped into SISI Hardware & DIY the other day I was interested to learn how they fare in what must be one of the most competitive market sectors in the country. SISI Hardware & DIY has sat on the junction between Aldensley Road and Brackenbury Road in Hammersmith for twenty three years. It’s run by Bachu Patel and Kiran Patel. Bachu’s explanation to how they compete is insightful “We sell goods people need rather than what we can push onto them." he said. Adding "People tell me that they go into a big DIY store for a couple of nails and come out with lots of other stuff they didn’t really want. There’s no highly sophisticated marketing techniques designed to make you buy more and more behind us. We stock relevant products at fair prices and we deal with people honestly. We find that works”. It does work and along with the dozen or so other businesses on that junction, SISI has given that part of Hammersmith a quality and character that can’t be replicated by any superstore. You can phone SISI Hardware & DIY on 020 8741 5463. They’re open for business seven days a week.